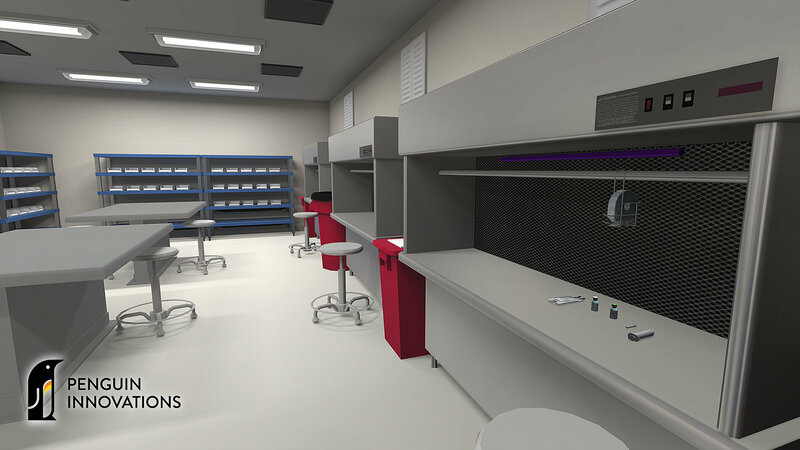 Penguin Innovations, founded by Steve Abel, a professor of pharmacy practice in Purdue's College of Pharmacy and Purdue's associate provost for engagement, created a virtual interactive cleanroom (VIC). Those sterile rooms, where medications are prepared, are common in hospitals and pharmaceutical labs. "The more you practice, the better you become," Abel said. "Our virtual cleanroom environment provides a space to accelerate learning while overcoming the barriers of cost and limited resources."